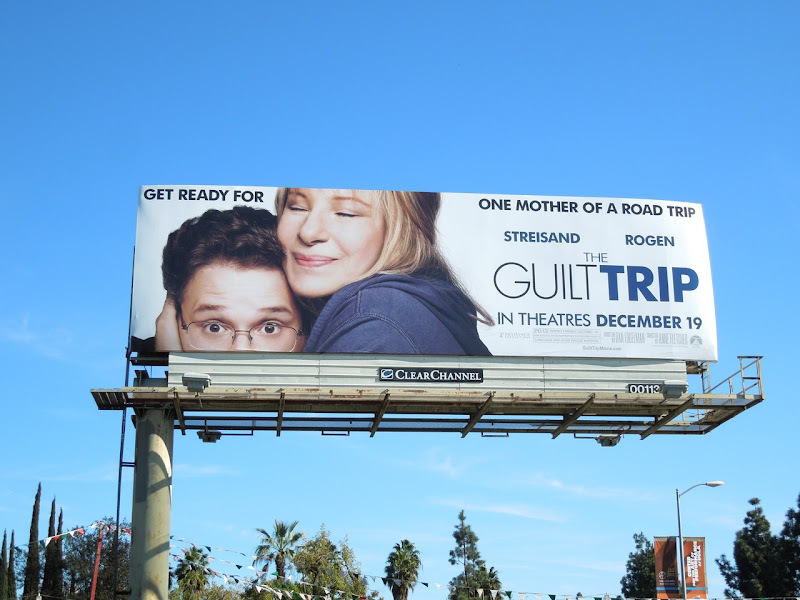 These bilboards for The Guilt Trip perfectly convey the embarrassment factor and discomfort of going on a road trip with your smothering, annoying mother (who no doubt loves you unconditionally). 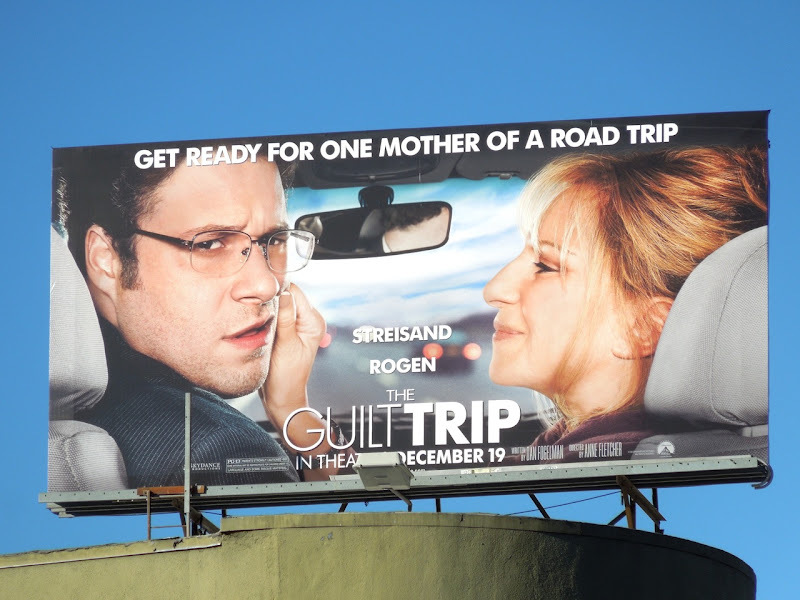 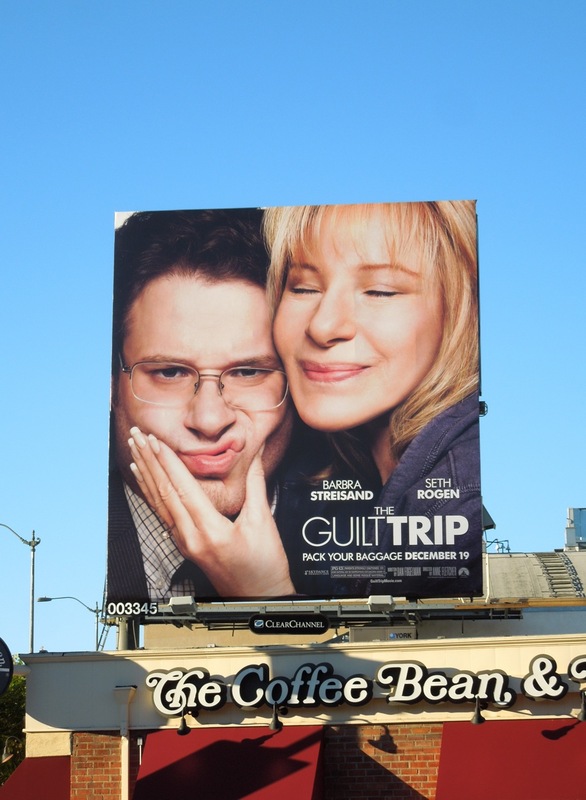 In fact the only other visual which would work better would be Barbra Streisand wiping Seth Rogen's face with a tissue she'd just spat on, rather than just simply pinching his cheek. 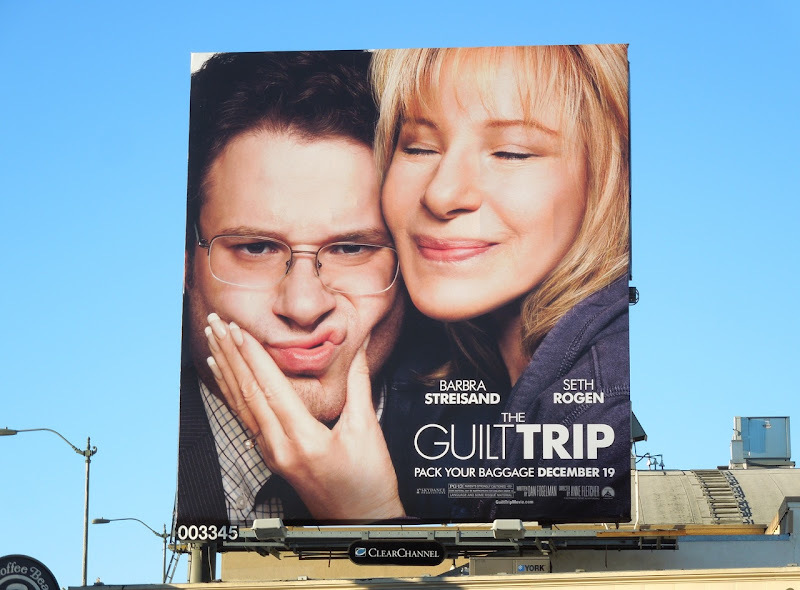 These creatives work so well as we can all associate with the visuals and cringe along, as they probably evoke a lifetime of shared experiences. 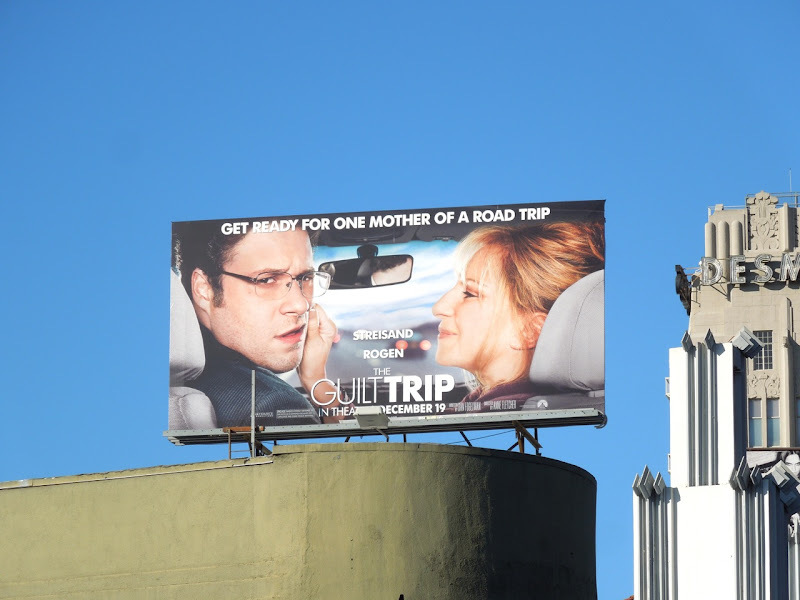 The small 'car' creative for the new comedy movie was spotted along Wilshire Boulevard, whilst the 'hug' version was snapped along La Cienega Boulevard at Olympic Boulevard on December 15, 2012. 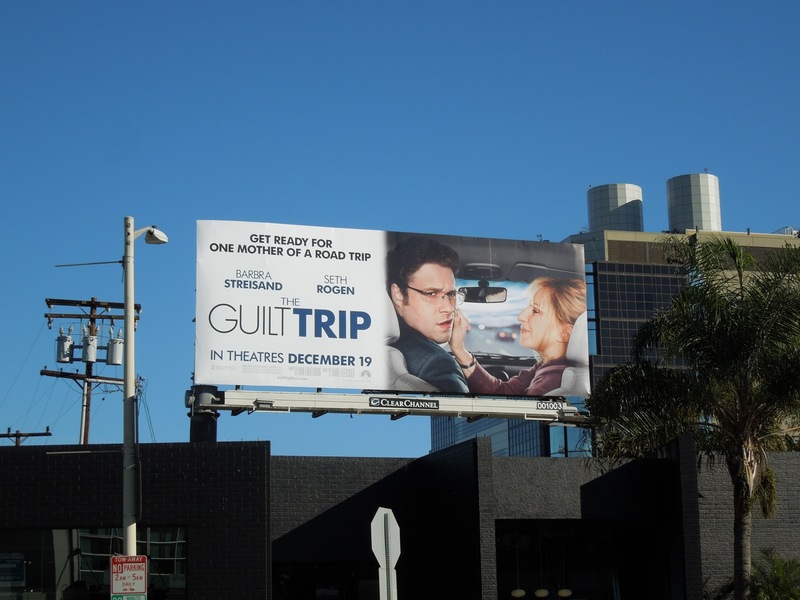 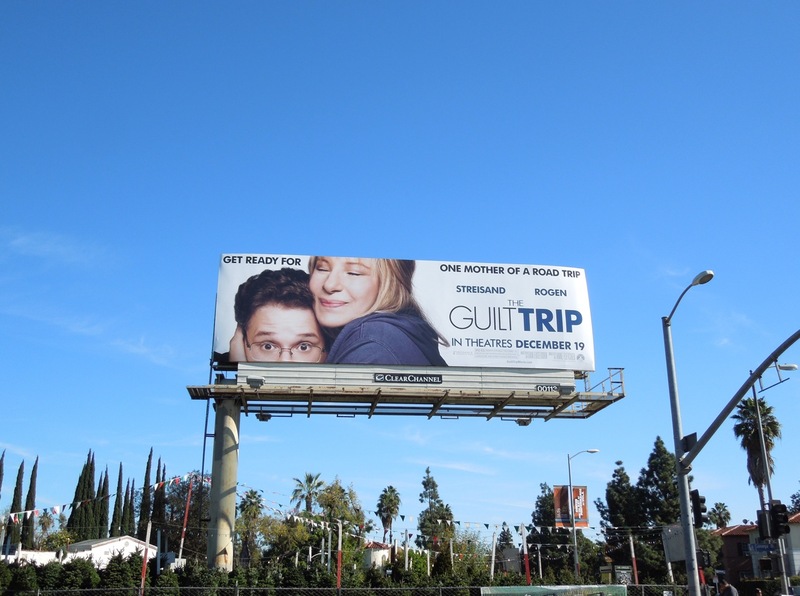 UPDATED: Here are more billboards for The Guilt Trip from around L.A. including a previously unseen 'squeezed cheeks' creative. 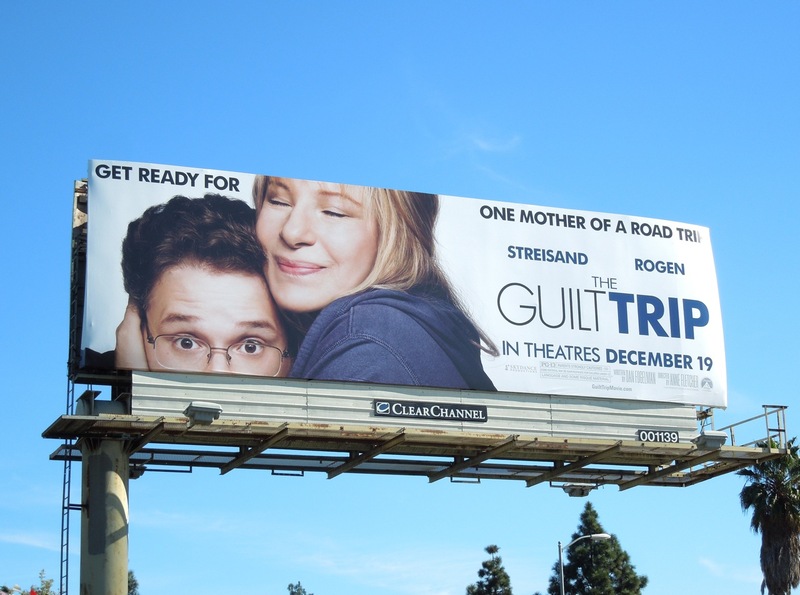 The larger 'car' creative was spotted along Beverly Boulevard near Robertson Boulevard and the squarer format 'squeezed cheeks' ad was spied at the intersection of Santa Monica Boulevard and South Beverly Glen Boulevard on December 20, 2012. 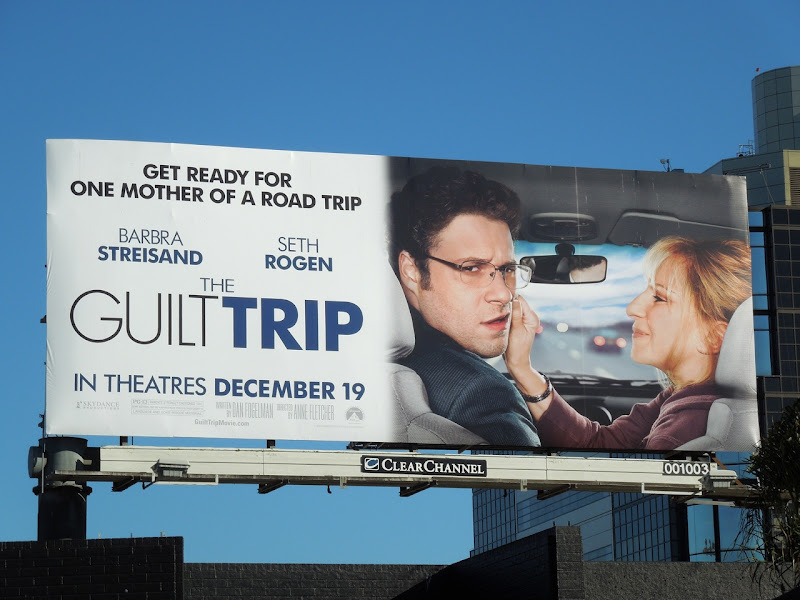 Let's hope the movie is as funny as these billboards.